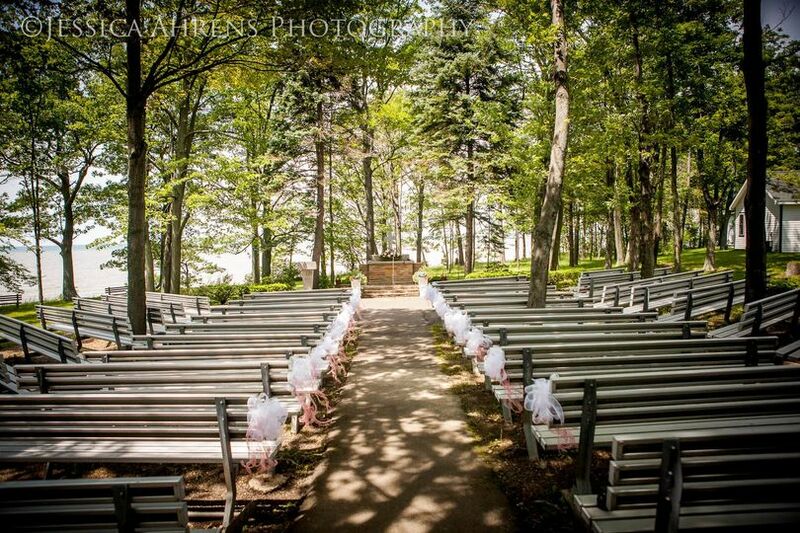 Pioneer Camp & Retreat Center is a gorgeous outdoor wedding event venue located in Angola, New York. 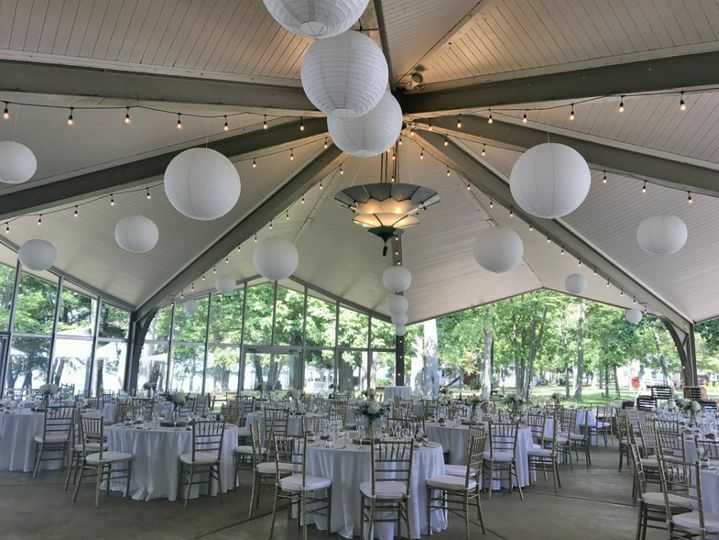 Right on the edge of Lake Erie, nestled among the trees, this special venue is the perfect wedding location for couples who love the outdoors. 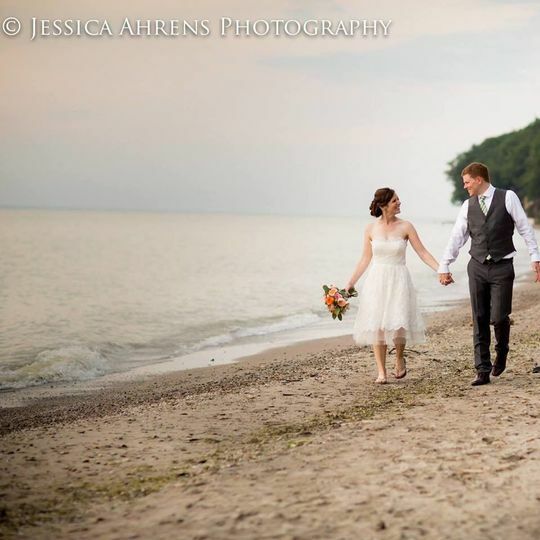 Offering two beautiful ceremony spaces, Pioneer Camp & Retreat Center provides gorgeous views of Lake Erie and places to watch the famous Western New York sunset. They also have a dedicated professional staff, offering an affordable experience you and your guests will be sure to remember. 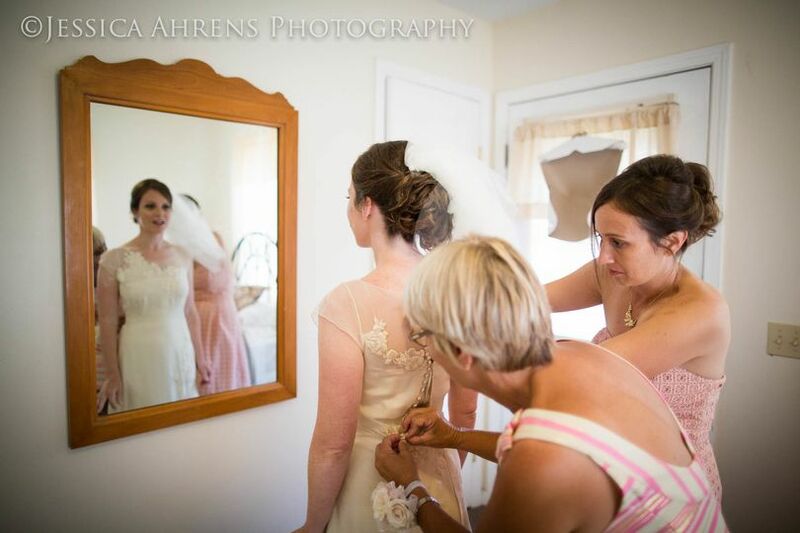 Wedding couples will have a variety of site options for both the ceremony and reception. 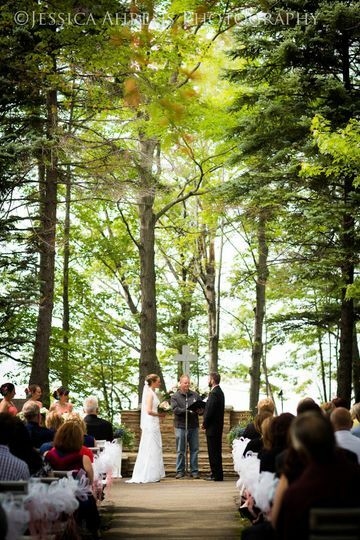 Nestled within the event grounds is the Chapel of the Woods, which seats up to 300 guests and overlooks the water of Lake Erie. It also can be decorated as little or as much as you wish, and can give you and your guests a scenic ceremony. Wendt Shelter is another location that can seat up to 250 guests and sits perfectly on the edge of the camp. 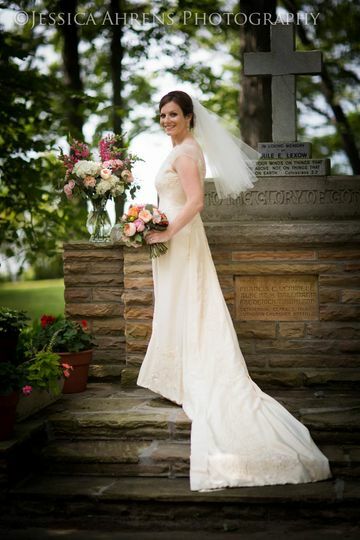 Overlooking Lake Erie, this location has a wall of windows with gorgeous views perfect for early Spring and Winter weddings. Hickman Hall, another beautiful location, seats up to 175 guests and also overlooks the deck and waters of Lake Erie. 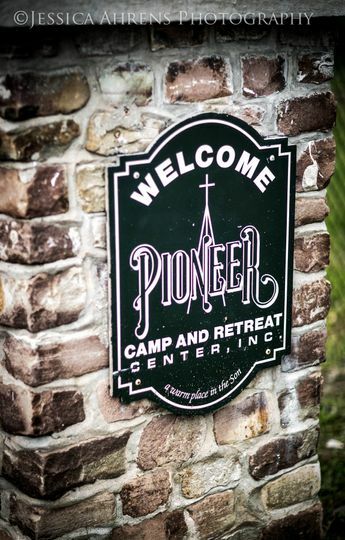 Pioneer Camp & Retreat Center offers innovative, memorable and completely customized wedding menus that give wedding couples the freedom of choice when planning their wedding event. Pioneers’ custom buffets are elegant and delicious! 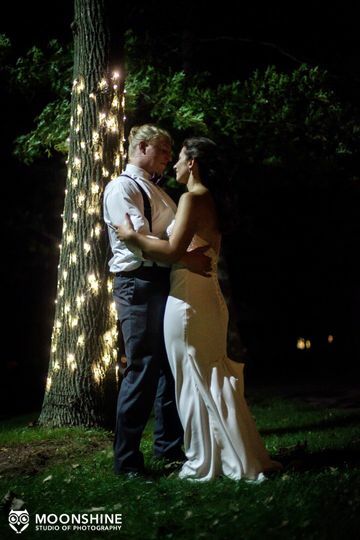 Having celebrated 70 years of service to many wedding couples, Pioneer Camp & Retreat Center has delivered hospitality and meaningful service to a variety of wedding couples. A Christian-owned and operated organization, they’ve delivered adventure and discovery for every trailblazer that's come their way since 1945. This place and the staff are a hidden wedding venue gem! Kali and her staff were amazing to work with. She flawlessly executed a three day wedding weekend: rehearsal dinner, ceremony, cocktail hour, reception, and post wedding day brunch. We also had almost 100 guests staying at camp Friday to Sunday. They set up/took down everything for each event and handled all the vendors, which allowed us and our families to really enjoy spending time together celebrating. All of our guests loved everything. I can’t thank Kali and camp pioneer enough for such a memorable and enjoyable weekend. Pioneer Camp and Retreat Center was so beautiful. The wedding planner left a few months before our wedding and Kali took over. She was so sweet and accommodating with everything! The entire staff was pleasant and so helpful. None of our family and friends have ever been there, it was a hidden gem ! People still come up to me and tell me that they cannot believe how beautiful it was! Anyone that sees our pictures is amazed! The ceremony in the chapel in the woods, to the cocktail hour above the water and then the reception at Wendt Hall! It was the most perfect day. I loved having Kali and Noelle helping throughout! I would recommend this venue to everyone! Dream come true! 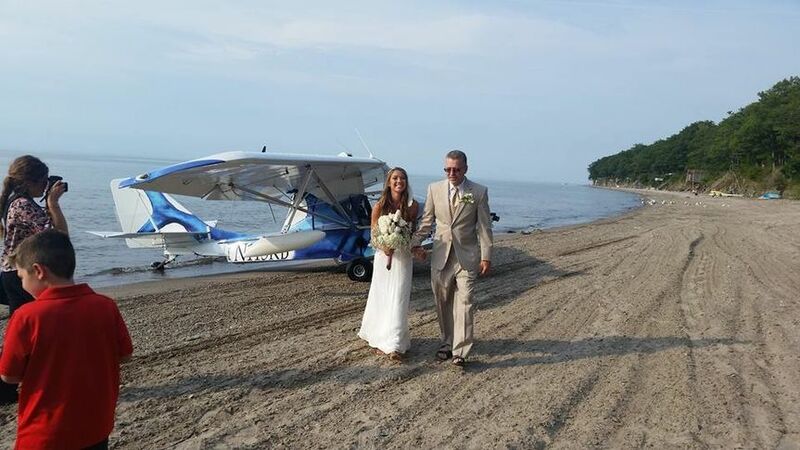 Thank you to everyone that made it the best day of our lives!! We're so happy we made the decision to go with Pioneer Camp for our wedding. We were living cross country while planning and Nicole and her team were able to seamlessly coordinate our event. Every detail I mentioned was taken care of and having all the catering and rentals in one spot made planning even easier. One thing we really appreciated was the chance to bring all our out of town family together the night before at the bonfire as most people rented a room onsite. We got a chance to connect with people beforehand making the day of even more relaxed. Bottom line if you want a venue with a beautiful outdoor atmosphere, delicious food and unbeatable sunsets this is your spot!